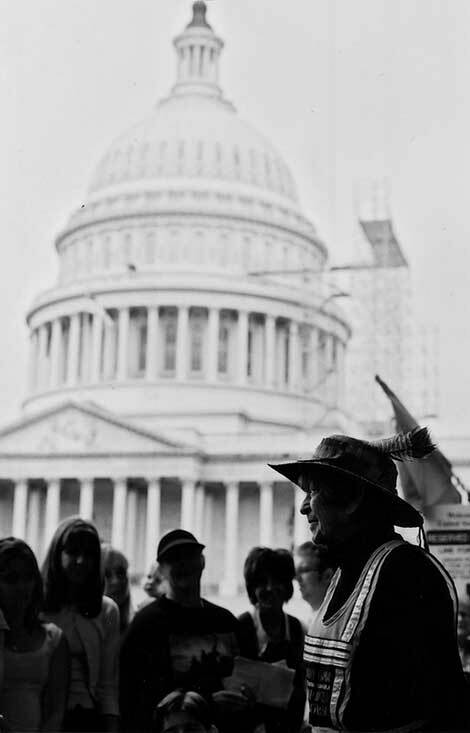 Doris “Granny D” Haddock won national attention when she walked across the country in 1999-2000, at age 90, to support the McCain-Feingold campaign finance reform initiative. The lifelong liberal activist from New Hampshire also ran for the Senate in 2004, was arrested at the Capitol for reading the Declaration of Independence, and authored a memoir entitled Granny D: Never Too Old to Raise a Little Hell. If your brother-in-law has a road paving company, it is clear that you, as an elected official, must not vote to give him a contract, as you have a conflict of interest. Do you have any less of an ethical conflict if you are voting for that contract not because he is a brother-in-law, but because he is a major donor to your campaign? Should you ethically vote on health issues if health companies fund a large chunk of your campaign? The success of your campaign, after all, determines your future career and financial condition. You have a conflict. Let us say, through the enactment of new laws, that a politician can no longer take any action, or arrange any action by another official, if the action, in the opinion of that legislative body’s civil service ethics officer, would cause special gain to a major donor of that official’s campaign. The details of such a program will be daunting, but we need to figure them out and get them into law. Remarkably, many better corporations have an ethical review process to prevent their executives from making political contributions to officials who decide issues critical to that corporation. Should corporations have a higher standard than the United States Congress? And many state governments have tighter standards, too. Should not Congress be the flagship of our ethical standards? Where is the leadership to make this happen this year? This kind of reform should also be pushed in the 14 states where citizens have full power to place proposed statutes on the ballot and enact them into law. About 70% of voters would go for a ballot measure to “toughen our conflict of interest law,” I estimate. In the scramble that would follow, either free campaign advertising would be required as a condition of every community’s contract with cable providers (long overdue), or else there would be a mad dash for public campaign financing programs on the model of Maine, Arizona, and Connecticut. Maybe both things would happen, which would be good. This entry was posted in corporations, elder books / arts, legal issues, radical geezers, women elders and tagged Campaign Finance Reform, conflict of interest, Doris Haddock, Granny D, McCain Feingold, Supreme Court. Bookmark the permalink.